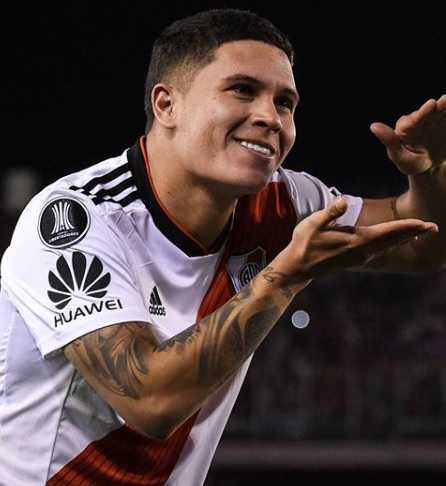 Juan Fernando Quintero Paniagua, professionally popular by the name Juan Fernando is a Colombian professional football player. He currently plays for the Argentine club River Plate and the Colombia national team. He was loaned to River Plate from Portuguese FC Porto. He plays as an attacking midfielder and wears shirt number 10. He started his professional career from Colombian club, Envigado and has played for Atletico Nacional, Pescara, FC Porto, Rennes, and Independiente Medellin. He has scored a total of 34 club goals and 3 international goals so far, as of 2018. He has represented Colombia national team at youth levels before making his senior team debut for Colombia national team in 2012. He has over 2 million followers on his Instagram. - First Colombian to score in two FIFA World Cup competitions. - His overall size and style of play, as well as his left foot, has led him to be compared to Lionel Messi. Juan Fernando was born on 18 January 1993. His birth name is Juan Fernando Quintero Paniagua. He was born to a father, Jamie Enrique Quintero Cano, and a mother, Lina Maria Paniagua. His birth place is in Medellin in Colombia. He holds Colombian nationality. His zodiac sign is Capricorn. He has a brother named Mateo Quintero. Juan Fernando joined the youth system of his local club, Envigado in 2004. Envigado signed him to the club's youth system after they witnessed his impressive performance at a local youth tournament held in Medellin. He was promoted to the Envigado's senior team in 2009. In 2011, he joined another Colombian club, Atletico Nacional. In 2012, he joined Serie A club, Pescara. He suffered an injury in April 2013 and was out for a month. He left Pescara to join Portuguese club, FC Porto in 2013. Porto signed him a four-year contract for 5 million Euro with a release clause for 40 million Euro. His 50% economic rights remained with the Italian club. He made his league debut for Porto against Vitoria Setubal. He scored his first league goal for Porto in the same match. He was ruled out for a month after suffering a hamstring injury in October 2013. He did not get much playing time at the club. Thus, he requested to play with the club's B team. He later got an average of 20 minutes per game in the league. Porto purchased the remaining 50% economic rights of him from Pescara for 4.5 million Euro. He was loaned to Ligue 1 club, Rennes for a one-season deal ahead of 2015-16. Porto loaned him to Independiente Medellin, a club from home country in December 2017. 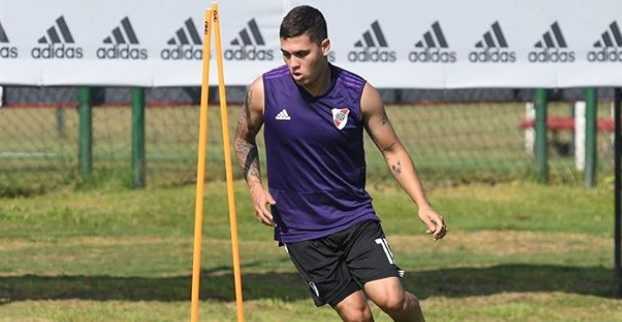 He then joined the Argentine club, River Plate on loan for a year in January 2018. His buyout clause was set for 5 million Euro and his deal was settled in 300,000 Euro. Juan Fernando has represented the Colombia national team at different age levels. He helped Colombia national youth team to win the country's third South America Youth Championships and Colombia qualified for the 2013 FIFA U20 World Cup as well. He represented Colombia U20 national team at the 2013 FIFA U20 World Cup, where his goal against El Salvador was voted as best goal of the tournament. He made his international debut for Colombia senior team in a friendly match against Cameroon in 2012. He made his World Cup debut against Ivory Coast at the 2014 FIFA World Cup. He scored his first World Cup goal in his debut World Cup game. He represented Colombia national team at the 2018 FIFA World Cup in Russia. Colombia exited from the round of 16 in the 2018 World Cup. They were defeated by England on penalties. His goal in a group stage match against Japan was voted the second best goal of the tournament making him the first Colombian to score in two World Cups. 2013 FIFA U20 World Cup Best goal of the tournament. A Colombian attacking midfielder is a married man. He is married to Johanna Osorio. Other personal information of Juan Fernando is currently unavailable. He has managed to keep his personal life private. Juan Fernando stands at a height of 1.59 m i.e. 5 feet and 7 inches tall. He has a body weight of 63 kg. He has an athletic body build. The net worth of Colombian international is estimated at $1 million, as of 2019. He has earned his fortune as a professional footballer. He has proved to be one of the best midfielder from Colombia. Porto signed him for 5 million with a release clause of 40 million Euro. His buyout clause was set for 5 million Euro. He was considered one of the promising youth prospects.